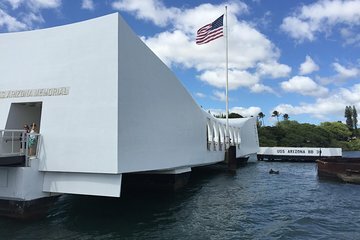 The drive from Honolulu to Pearl Harbor can take twice as long in traffic, and lines can be long. Enjoy an exclusive, hassle-free visit with this private, chauffeured tour. Have a tropical drink en route to Pearl Harbor, skip the line at Pearl Harbor’s most visited sites, and then relax on a drive through historic Downtown Honolulu.